Arthritis Essentials is a nationally recognised course in the management of Musculoskeletal Conditions. Have you just been told you have arthritis? Call the Arthritis Helpline on 1800 011 041 weekdays from 10am to 4pm. There are many ways that you can protect your joints from pain and strain and also make jobs around the home easier to manage. Pain may limit some things you can do, but it doesn’t have to control your life. Learn techniques to help manage your pain. You can have arthritis and still get the most out of life. You don’t have to stop doing the things you love doing. Contact Arthritis Tasmania on 1800 011 041 for the latest information and for support in living well with your arthritis. Or to request your copy of ‘10 Steps to Living Well with Arthritis’ booklet call the Arthritis Helpline on 1800 011 041. Congratulations! Just by learning more about living well with arthritis means you are already on your way to successfully managing your arthritis and lessening its impact on your life. Or to request your copy of ‘10 Steps to Living Well with Arthritis’ booklet call the Arthritis Helpline on 1800 011 041.
strengthening muscles; and improving your posture and balance. the amount of pain or other symptoms you experience, and its impact on your lifestyle. Or to request your copy of ‘10 Steps to Living Well with Arthritis’ booklet, telephone the Arthritis Helpline on 1800 011 041. Because arthritis can get worse if left untreated, you need to see your doctor as early as possible to get a proper diagnosis. Early diagnosis and treatment can limit the effects of arthritis on your life and help you stay active and independent. How long you have experienced pain? When you get pain and what seems to cause it? What makes the joint feel better or worse? Whether anyone else in your family has had arthritis or joint pain? With arthritis, knowledge is invaluable. Many people with arthritis say that learning about their condition and what they can do about it gives them back a feeling of control over their lives and their health. Arthritis & Osteoporosis Tasmania welcomes the announcement on 27/3/19 from the Minister for Health, the Hon. Greg Hunt MP, that the Commonwealth Government will invest $4 million towards the National Strategic Action Plan for Arthritis. 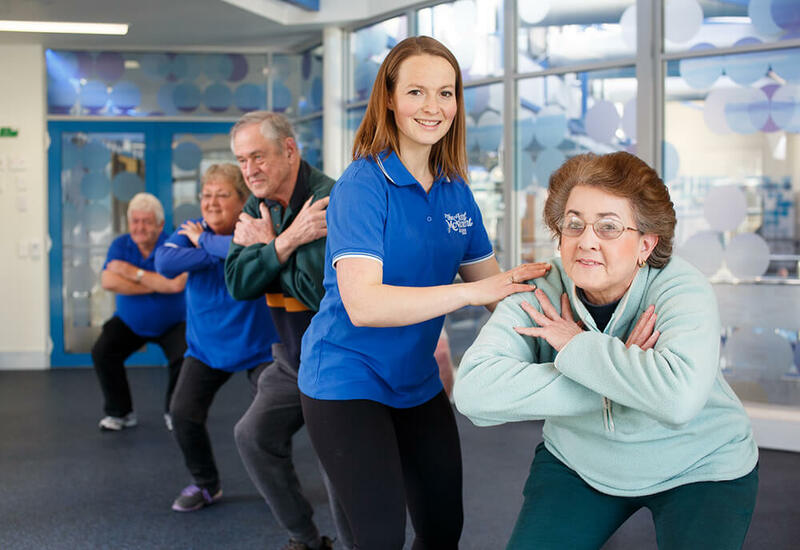 Led by Arthritis Australia in partnership with key consumer and medical groups, the Action Plan outlines key priorities for preventing arthritis, investing in research and improving treatment and support for people living with the condition. For more information click here. The National Strategic Action Plan for Arthritis provides an evidence-informed blueprint to guide national efforts to improve health-related quality of life for people living with arthritis. For more information click here. Take the first step to a healthier you. The Joint Movement Strength Training Program is a 12 week group exercise program led by a trained exercise professional. Program includes a pre-exercise assessment. Vacancies are currently available in programs at Clarence, Glenorchy and Kingston. Would you like to gain or further develop your professional knowledge and skills in the areas of arthritis and musculoskeletal conditions? Arthritis Essentials is a competency based, nationally accredited unit of competency, designed to provide healthcare professionals working with or supporting people with arthritis and related musculoskeletal conditions, with an easily accessible means of professional development.